I couldn't have asked for a more welcoming environment to discuss all things foundation; surrounded by their super friendly team, gorgeous Lancôme products and four other bloggers, it was the perfect opportunity to eat my weight in fruit and be fitted for a new foundation! I can honestly say I have complete and utter trust in Lancôme as a brand, having never been without at least one of their perfumes in my fragrance-rotation, and being loyal to their high-volume mascaras for years. With this in mind, from the moment I met the team, I was excited to see their on hand makeup artist work her magic! Psst! I'll also be reviewing the dreamy new Lancôme Énergie De Vie Sleeping Mask c/o later this month! As you can see from the above photo, the British weather is currently taking a little wander down Typical Lane and drenching us all in rain right now (though only until the weekend, apparently). No downpour could dampen my mood on this day however, for I was armed with a game-changing foundation and one that I knew would be perfect come the return of warmer weather. The 'bare skin' formula contains a combination of pearlescent pigments which give a dewy, radiant finish, something I'm crazy for at the moment and no doubt will continue to be throughout the summer! The pump applicator receives a thumbs up from me, along with the elegant, clear glass bottle. Though of course, it's what's inside that counts - and in this case, it impresses! The foundation feels lightweight and thanks to a higher concentration of water in the formula, dry skin types can particularly benefit from feeling instantly smoother. Speaking as someone with combination skin (fairly dry with an oily t-zone) I consider this ideal. 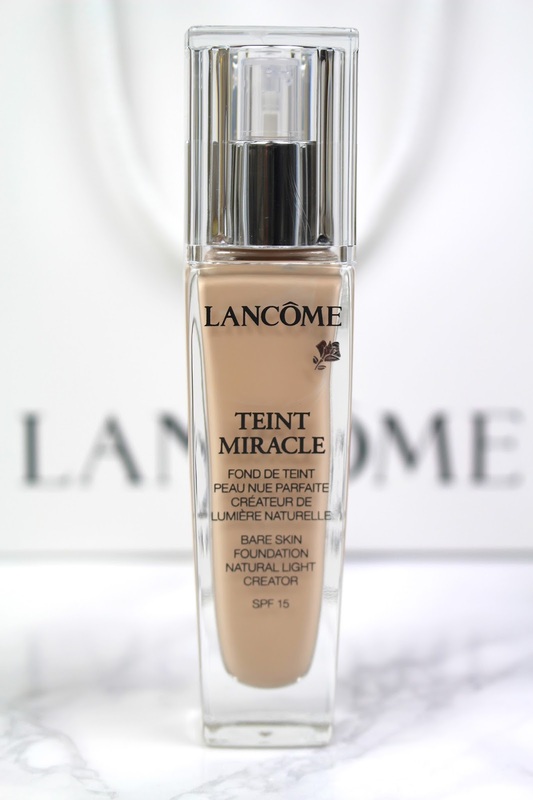 Surprise, surprise, I walked away from the Lancôme foundation fitting with one of the palest shades, 005 Beige Ivoire (I know, girl needs a tan) and I'm hugely impressed by how well matched it is to my complexion, removing even the need for blending through to the neck. With regard to coverage, it promises up to 12h wear and is far more natural than my previous foundation - it perfectly balances concealing temporary marks left by blemishes, without caking moles/dark freckles. Personally, I've found it to perform brilliantly when it comes to layering; ranging from natural and dewy with minimal application, through to heavier coverage when needed. Mmm, I had a feeling I'd end up gushing about this foundation! Seriously though, I truly can't think of a single negative point, which is something I'm becoming fairly used to now when trying products by this luxury beauty brand. So all in all, a happy kitty-cat! What a wonderful opportunity to have, talk about a dream! I adore Lancome...my grandmother used it, my mother used it and now I use it. That must say something! Oh those croissants look amazing!! :-) I've always been a big fan of the Lancome scent, so feminine! What a lovely looking event! And it must've been such a treat to be able to have your exact foundation shade matched to your skin. The formula of the one you received sounds amazing as well Gabrielle! Lancôme is so awesome! Love their products! Looks fun! The event set up looks lovely girl - and it looks like you had fun! Let me know how you go with the foundation and what its like on your skin over a period of time as its so hard for me to find foundation that doesn't make me break out! This must have been been fascinating, and the foundation sounds lovely! I've been branching out with makeup again after having a still period as well, and Lancome is a brand that just keeps piquing my interest. Great post. Lancome is such a gorgeous brand and their new launches are pretty amazing aren't they? I really need to play with the foundation more! I'm a big fan of Lancome mascara so I have a feeling that I'd love this foundation! Croissants and makeup? I couldn´t think of a better way to spend my day as well. Wow what an excited event you were able to attend! I've heard lots of great things about Lancome foundation! I'll have to check it out! Looks like a great breakfast. Greetings and nice weekend! Aah this post makes me just wanna grab everything and go, looking great hon nice products. What a fun event! It can be so hard to find a foundation that not only matches your skin tone but also wears well, and feels good. This one seems to hit the mark, though! Thanks for sharing, next time I need foundation I'll have to check this one out. this was such a great experience gabrielle! love lancome! You are a very fortunate young lady to be sitting in the HQ of L'Oreal! 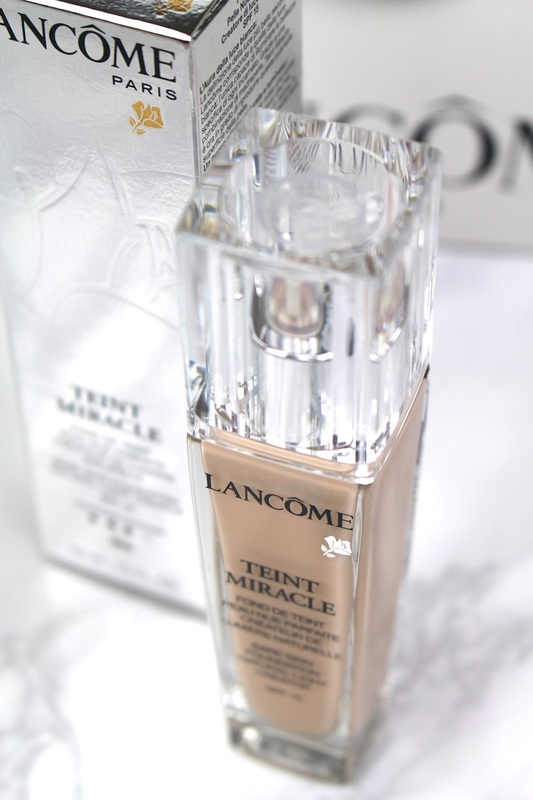 I love Lancome Teinte Miracle as well. I really appreciate the fact that they do my shade! seems like a great event! I have yet to try a Lancome foundation, but I've heard good things about it. What impresses me the most (seeing these bottles) is how many different skin tones they seem to be for...I would say that Lancome really provided a great selection of shades. Finding a right foundation for our skintone can be a challenge but I would say these foundations will make it easier for us. so great to hear that this foundation worked well for you! That looks like a lovely event and with Lancome? You can't go wrong with that brand. And wow, it really does match your skin tone really well! This is such a fun event!! I'd so love it if Lancome did an event here! I haven't tried their foundations;I really do want to get a lancome juicy shaker for the lips though! Seems like such a wonderful event! What a dream experience! Lancome is one of my favourite beauty brands and I've been using I was nineteen. And all these foundations you got to try - heaven! This must have been fun and exciting and I really love your writing its amazing such great style! Lancome has always been my favorite brand of makeup and seeing all these with very informative notes just made my day! I am so jealous. Im sure you had fun! By the way, would you like for us to follow each other? I love how you photographed/captured everything!--So so pretty! Wow so lucky to be invited to this event and yummy breakfast too! Thanks for your wonderful comment on Qing's Style Please always keep in touch, I would love to hear from you! Wow this sounds amazing, so good that I want to try it myself! I'm so happy that you found your perfect match. I do hope it'll be a match made in heaven for the longest of times too. BTW I am such a sucker for those oversize perfume bottles! I still haven't found the perfect foundation and shade for me yet since they usually tend to oxidize on me <3 that foundation sounds promising though! Gorgeous photos and what a fantastic event! The foundation looks perfect on you! I have used this before, I will have to try it again. Amazing post! Looks like an amazing event, and of course the perfect foundation!! WOW!! Such a lovely welcome!!! And so many stunning cosmetics!! 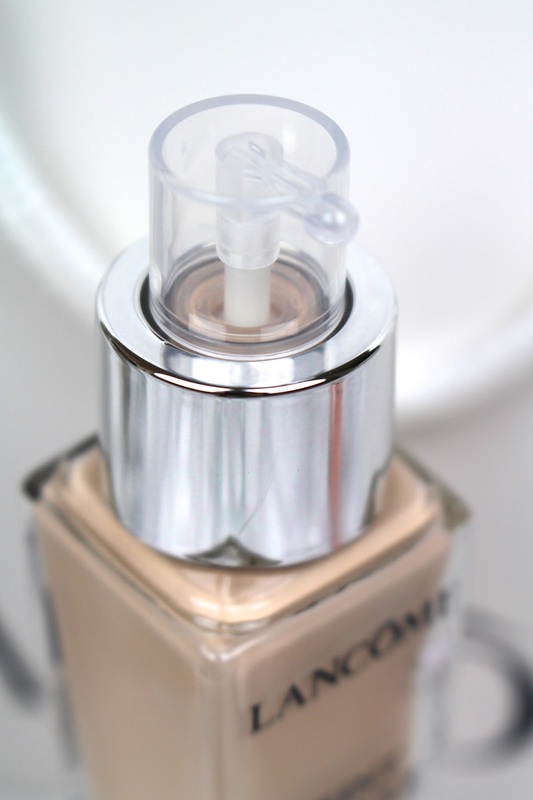 *-* I have to try this new foundation from Lancome, it seems suitable for my skin, as I haven't so much breakouts too! Lancome's fondations are great. I've been using it for many years!! Wow, they definitely fixed you up with the perfect shade, it really is like a second skin on you! The packaging is gorgeous and I love to see a pump on a foundation - so useful! It's so funny how something like the perfect shade can make all the difference- such a cute event they hosted! Looks like a lovely breakfast! It looked like a fun event. I can;t stop lusting over all these pretty perfume bottles. I think the wide selection is good news and you got the lightest shades of all?! Super fair indeed you are, my friend. I love the packaging, it looks luxe, of course, you don't expect anything less from a brand like Lancome! Oooooh I can't wait to read about your review on the sleeping mask, I had a sneak peek at the Energie De Vie range recently at the media launch here and the range does look really promising!! Hope the rainy weather is way over by now, we had the craziest weather here few days ago - hail storm!! in sunny humid KL, can you believe it? wow.. that is amazing.. what a great opportunity. Lucky you! Aww, this looks like a lovely event! I'm a huge fan of Lancôme foundations - they have the perfect pale shades. I usually wear Teint Miracle in summer and Idole for winter. Such a great event ! They have so many differents shades of bare skin ! The product seems pretty awesome as well, I never afford one of the Lancome product but it seems really good ! This foundation looks amazing - need to try it!